When it comes to new babies there can be a lot of unfamiliar territories: learning how to properly swaddle, keeping track of how many wet diapers baby has had, and what do you REALLY need to pack in your diaper bag?! It can feel like you need to pack half your house before leaving with baby, but we’re here to help give you some experienced guidance on this topic. We’ve teamed up with our friends at Freshly Picked who happen to make one of the most stylish and convenient diaper bags on the market! 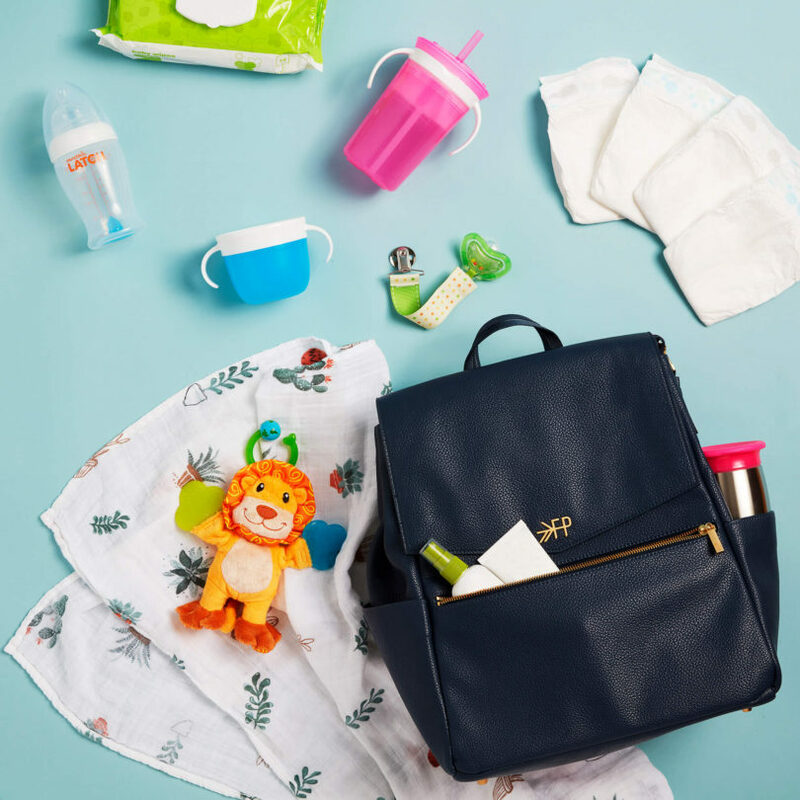 Head to the bottom of the post to learn how you can enter for a chance to win a Freshly Picked Diaper Bag of your own and $200 to Munchkin.com to fill it! First things first, what do you really need to pack in your bag? The obvious one here is diapers. But, how many diapers? A good rule of thumb is to have enough for 1-2 days that will cover a few hours outings. Depending on baby’s age, on average you’ll be changing baby’s diaper roughly every two hours, so having around 10-12 is a good amount. Of course, if you’re going to be gone for a long day, pack more! As for wipes, stick with one full package. The Designer Diaper Changer includes a convenient wipes case that holds a small amount that can slide into the internal pocket. This is great for when you want to just grab the whole changing pad and have all your supplies handy. However, we recommend having a larger pack at the ready–experienced moms know that baby wipes are helpful for much more than just baby tushies. Most diaper bags come with their own changing pad, so if you want to stick with just using the one included that’s okay! If you want something that can easily be removed from your bag and taken with mom or dad for changes we recommend this diaper changer. It folds closed nice and slim but has plenty of internal pockets to hold diapers and wipes all in one place. There’s even an external pocket where you can keep personal belongings if you don’t feel like carrying the whole bag with you. Another outfit is always a must for your bag. From excessive spit up, spills and blowouts (like we mentioned above) you never know when baby might need a change of clothes. Choose something easy like a bodysuit and make sure to rotate the outfit as baby grows and season’s change. If you’re formula feeding you don’t want to have to carry around a whole can with you. Pre-fill a formula dispenser (like the one shown above) that has three compartments to hold pre-measured powder. Depending on how long you’ll be out of the house, have at least two empty bottles on hand and enough water for two feedings, too! Typically if you’re breastfeeding you don’t need any additional supplies, with the exception of breast pads. However, sometimes you need a boost for your milk supply! That’s where Milkmakers lactation cookies and bars are ideal to have on hand. One to two servings a day can help increase your milk supply, and they’re super delicious. Having water on hand is a must starting at around 6 months of age. 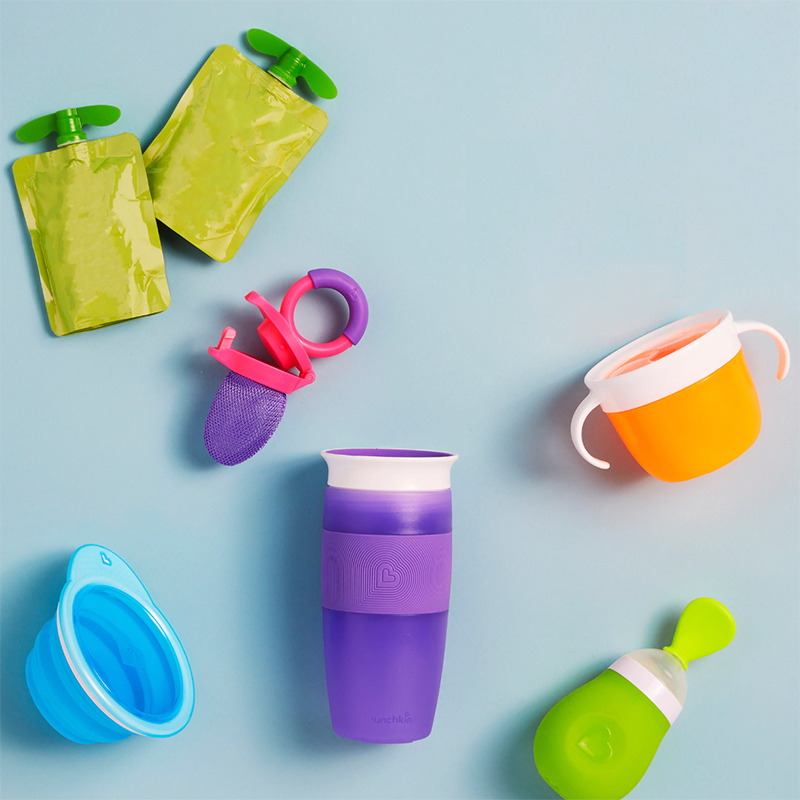 Always have your tot’s favorite sippy cup packed and ready with water. A favorite of ours is the Miracle 360 Cup–it will never leak! Keep this handy in one of the front pockets of your bag for quick access. Don’t forget about yourself too, Mom! Keep water handy in your favorite reusable canister. This will vary slightly depending on the age of your child and if you make your own baby food. There are a lot of handy utensils on the market now that can help with feeding on the go. For instance, the Go Bowl folds down flat for easy storage and then pops open for use or the Squeeze Spoon holds pureed baby food in the back portion of the handle allowing you to squeeze food directly onto the spoon. If you’re bringing along your own baby food, a small cooler might be necessary for you, too. It’s best to keep all your feeding supplies together so you aren’t digging through your bag with a hungry baby! Choose one pouch to hold everything or our personal favorite is to keep it in a Tupperware container or Ziploc bag. Kids are always hungry . . . there’s no getting around needing an arsenal of snacks with you. Similar to what we mentioned in Mealtime, keep all your snacks in a Ziploc or the same pocket for quick access. 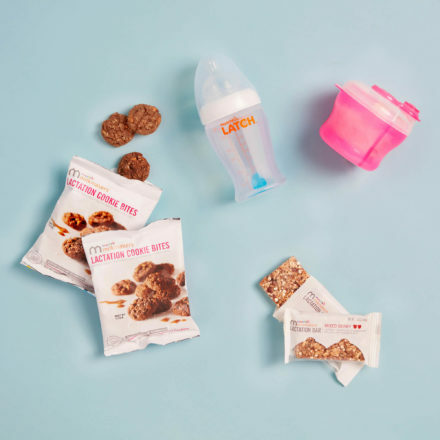 Keeping with easy, package snacks in something like a Snack Catcher, that allows little hands to reach in and snacks not to spill out. Another snack item we love is a Fresh Food Feeder, for kids learning to self-feed you can place a soft piece of fruit in the mesh portion and baby can safely eat without a choking hazard. What’s left?! Only a few things need to be added to your bag at this point. 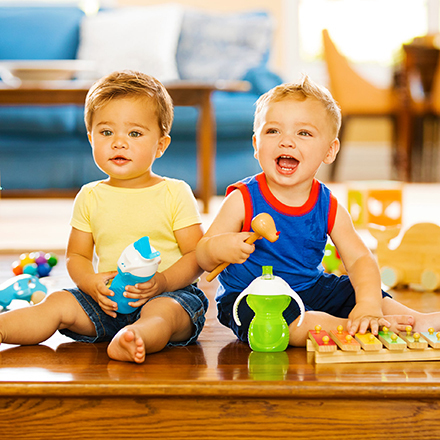 For baby, make sure to have a favorite toy or two like a teether in your bag, pacifiers (if you use these), pacifier wipes, and a swaddle/thinner blanket (these are multi-purpose and useful for laying baby down, spit up or using as a stroller cover!). Depending on the season and weather, it’s a good idea to have travel-size versions of sunscreen and bug spray. Your keys, wallet, and other personal effects should be kept close, we love the front zipper pouch for these items. Some people prefer a separate bag, but why add more bulk?! Now that you’re ready to head out with baby fully prepared, enter to WIN a Freshly Picked Diaper Backpack + $200 Munchkin Gift Card HERE. Are there any other essentials you like to keep in your bag that we left out? Tell us in the comments below.